In 2005 the category creating MAXTRAX Mk1 4WD recovery board proved so important that “MAXTRAX” has reached “Hoover” status and is used to name any form of traction recovery board. 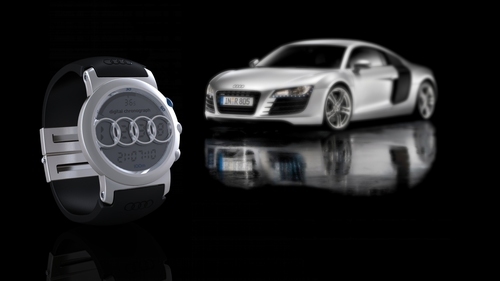 In 2010, the innovative Mk2 was released to dominate the global market as the category leader. MAXTRAX field testing combined with customer feedback indicated the ultimate board would be a combination of the Mk2s advanced engineered polymer body embedded with user replaceable teeth made from harder heat and abrasion resistant material. Customer demand and recent Military Special Forces supply requests to develop such a board initiated a new R&D program to achieve the ultimate MAXTRAX. During late 2017 the new MAXTRAX Xtreme recovery board was launched in LAS Vegas at SEMA. MAXTRAX won three SEMA Global Media Product Awards, including one for the Xtreme. Made of UV-stabilised, flexible, super tough engineering-grade reinforced nylon with over-moulded Alloy Teeth, the board provides traction and a firm base to get your vehicle quickly back on track. The new MAXTRAX Xtreme teeth are easily replaced with a Star Allan key driver. The Xtreme will further provide global growth to MAXTRAX but more importantly increased value to its customers through its long life and superior function. Environmentally the new Xtreme will be the least impactful of all traction boards on the market through its predicted life span and endless years of service. Drones are becoming a serious global business and everyone from pop stars, kids, film crews and the military are using them. The popularity of the drone and the diversity of users are growing, however the architecture of them is staying unchanged. The archetype still holds true of a technical package and battery payload being supported in flight by fixed position rotors. Although in flight control systems and algorithms are getting better, drone pilots still require skill in order to safely take off and land their craft. Next generation drones such as the Lily have considered this by integrating folding blades and the ability to ‘throw to launch’. Landing on the ground poses risks as rocks and sticks can fly up and damage the rotor or nearby observers. Many drone operators place their fingers on the line and choose to catch their craft mid flight. Some drones offer guarding or grill protection of the props however this has disadvantages in terms of craft weight and impact on flight time. This left an opportunity to resolves its issues and create a new offering for the market. Using a systems thinking design Clandestine Design Group (CDG) realised that a solution would come from challenging the fixed rotor nature of typical drone design. 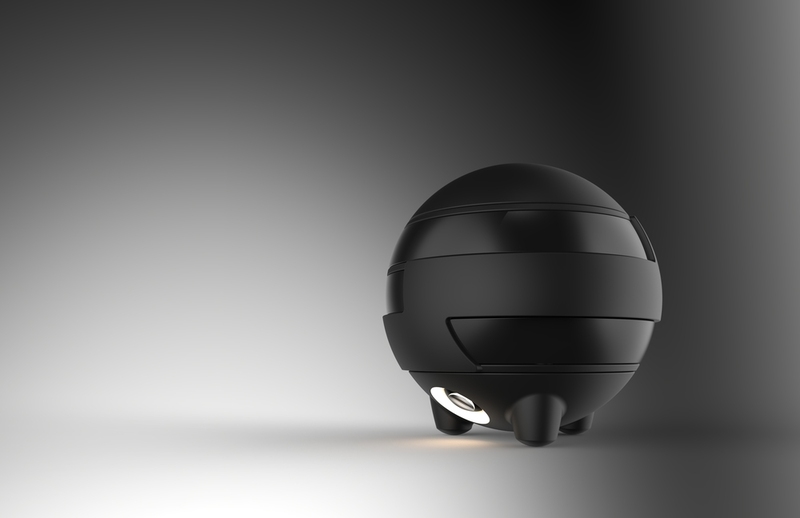 The preferred solution is called the Jupiter TD-01 and the concept is a mini observational drone that is spherical in nature. To launch Jupiter TD-01 the user can simply throw it in the air like a ball where the system activates by rotating the three high powered 80mm props and motors into stable and safe flight mode well off the ground. Jupiter’s tri rotor configuration allows speed and agility and whilst the high-definition camera can rotate 360 degrees independent of the craft’s flight path. For example in a crash scenario the system will fold away its rotors, to ball mode in preparation for impact, where it will bounce and roll, reducing its risk for damage. These same systems can be used for landing where Jupiter TD- 01 can hover slightly above the user until catch mode is activated. Powered down in its ball format also provides robust and easy storage in backpacks and bags. The drone looks simplistic when it’s all closed up in its ball shape but underneath hides the tri-blade design that looks like Jupiter’s rings – hence the name. The commercialisation of this drone could be a game-changer and applicable to many industries. 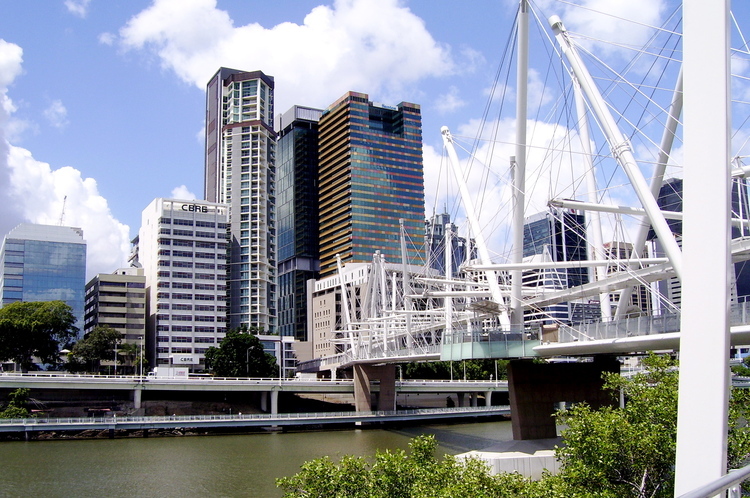 Brisbane has a new Kulripa Bridge that crosses our river and graces our great city. The Clandestine crew where inspired by its architectural use of construction elements in tension rather than compression. 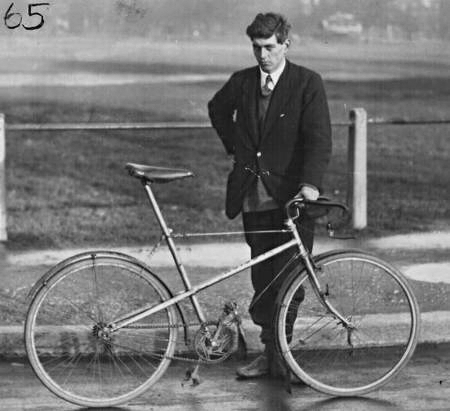 Regardless and still inspired we put stylus to screen and sketched out two great looking mens road bike frames that use the concept of carbon fibre frames held in tension by filament wire or cable. For now we are running with the internal project name of Crossbow. 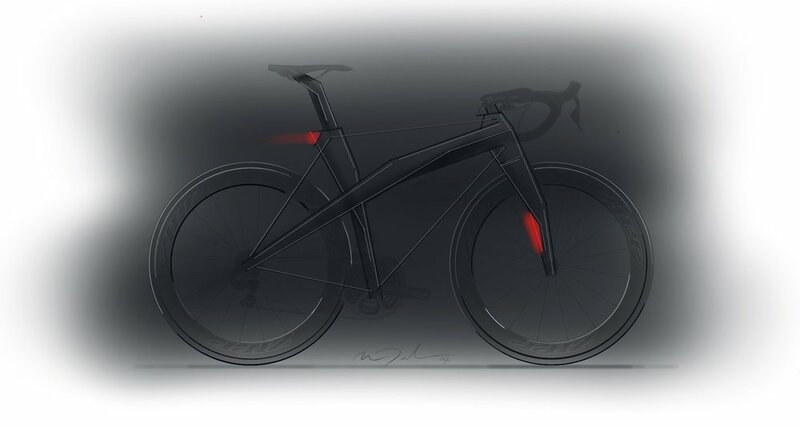 You will note the second sketch explores a electric assist crank set hub drive concept. 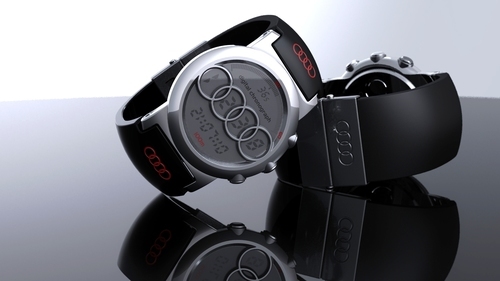 Similar to the above, this project explored styling application transfer from the Audi R8 sports car to a proposed Audi Sports Chronograph.